It's English Tourism Week March 30–April 7 so why not get out and enjoy what England has to offer? 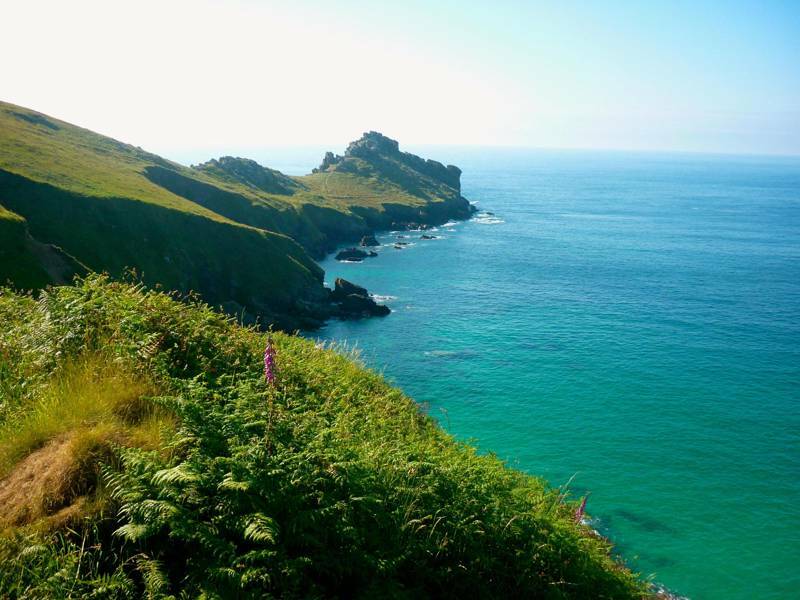 There are tons of scenic walks across England that take in stunning vistas, ranging from rolling countryside to dramatic coastal landscapes, plus a host of fabulous places to stay close by. Oh, and with the clocks springing forward on March 31st you'll get an extra hour of daylight to head out for a evening stroll. Read on for a selection of our top picks. At 45 miles long, the Norfolk Coast Path weaves its way along the coast from Hunstanton in the west to Cromer in the east. It’s easy walking for the most part, with the path threading its way along sand dunes, marshes and low cliffs, and, as a National Trail, it’s well-marked and signed. One good place to join the trail is at the bottom of the garden of the White Horse at Brancaster Staithe: head west for Titchwell and Holme; head east for the Burnhams and Wells. And why not book in a night there too, it backs straight onto the lagoons and creeks of the coast, has 15 contemporary rooms and an award-winning restaurant. Follow the gorse-topped cliffs and boulder-strewn moorland from St Ives along a six-mile-stretch of dramatic – and at times challenging – coastline that eventually meets the historic town of Zennor. The return route follows a shorter line across fields – all in all this circular route is around 12 miles in all. The Gurnard's Head is the ideal spot to lay your head for the night – situated close to Zennor, why not do the walk in reverse and book in to stay at this cosy pub with rooms. In a region of dramatic superlatives, Malham Cove takes some beating. In a way, if you've never been before, it's a shame to give the game away in advance. Better to let you stroll the mile out from the village and across lush green fields, alongside a babbling stream, until – there it is, a stupendous, curved limestone cliff, almost 300 feet high, formed by a melting glacier which created a vast natural amphitheatre. The whole walk is around eight miles and takes about four hours. Tired but exulted, check in to the Angel at Hetton for country-chic accommodation at one of the Dales' most celebrated gourmet-dining destinations. You can take a boat to see the seal colony at Blakeney Point in North Norfolk, but many walkers prefer to discover the iconic shingle spit of the Blakeney National Nature Reserve on foot – and it's a walk which showcases the very best of this stretch of the North Norfolk Coast, starting at the car park at Cley Beach and following the beach and shingle ridge to the dunes at the far end. Afterwards, why not spend some time at Cley Windmill, a gorgeous conversion with charming interiors. Stiperstones is steeped in myth and legend, but it's also a nature reserve, which means you can leave your vehicle in the handy car park and proceed on foot up the jagged mountain, which looks east towards the equally spectacular ridge of the Long Mynd, and west far across the border into Wales. The landscape is as dramatic as you would expect, and is one of the furthest places south you can see wild grouse in the wild – look out for a plump, medium-sized game bird with a small hooked beak. Then back to Castle Hotel, the perfect country bolthole, with comfy rooms plus a welcoming bar and restaurant. Oh, and they're dog-friendly too. One of around seventy prehistoric standing stones on Stanton Moor, this early-Bronze-Age stone circle is supposed to depict nine naughty ladies, who were turned to stone as a penalty for dancing on Sunday – though interestingly it's actually made up of ten stones, rather than nine; one was discovered until 1977, but the name stuck anyway. You can do a short but lovely walk there from the nearby village of Birchover – around 3 miles in all – taking is some of the best of Stanton Moor itself , with its expansive views, slopes of bracken and heather, the odd bit of woodland – and of course those ancient stones. Fancy staying in the area? Dannah Farm B&B is the ideal place, a high-end bed and breakfast in an informal setting. The hike up England’s third highest mountain is no Sunday afternoon stroll. In fact the ascent of this 950m peak is one of Britain’s biggest mountain challenges, a mixture of fell walking and scrambling on what is a truly spectacular route, starting in the village of Glenridding and climbing, then scrambling along the narrow ridge of Striding Edge to the summit. Unsurprisingly, you pass some pretty dramatic scenery on the way, first of all on the steep climb over Birkhouse Moor and then at the top of Helvellyn itself, where the views stretch across virtually the whole of the Lake District National Park. Accommodation-wise, Brimstone Hotel or Another Place, The Lake are top options. Stanage Edge is a remarkable gritstone escarpment in the Peak District, about four miles long and 458m at its highest point, much beloved by rock climbers who come from all over the country to pit their skills against the many unyielding routes. Stanage isn't just for climbers though, there are plenty of walks to be had to suit all ages and abilities but all with stunning views; from the top the vista is endless, and will take your breath away. At the end of the day head to Long Valley Yurts at Knotlow Farm, a glamping spot on a whopping 100 acres of rolling Peak District farmland. It's worth the effort to get up the Old Man of Coniston – the view from its peak is unmissable, as is the rugged scenery and the abandoned mine workings across its lower slopes that you see on the way up. You can also go wild swimming in the the secluded tarn of Low Water, and then if you have energy to spare head north from the summit along to Swirl How, before descending and then climbing to the summit of Wetherlam where you can take in the views of Coniston Water before descending again to the village of Coniston itself – where you'll be in need of a drink! Thirst quenched, head to Woodmans Huts, where beautiful handmade shepherd's huts await. The Viking Coastal Trail is a 32-mile walk around the coast of the Isle of Thanet and you can either do the whole lot in a couple of days or just do the eight mile stretch that links the towns of Ramsgate, Broadstairs and Margate. It's a flattish stroll along sandy beaches and grassy cliffs in between three distinct towns – the old town and harbour of Ramsgate, Broadstairs, with its lovely beaches and good pubs and restaurants, and Margate with its sweeping harbour and art gallery. Come evening, stop in at the Duke William, a quintessential Kentish pub with superb food and stylish rooms.